Being one of the largest manufacturers, we are engaged in providing quality Capillary Tube which is precision engineered. These are manufactured under the guidance of our Quality Controllers. Our products are catered to several industries including Pharmaceutical drugs, Specialty Chemicals and others as well. 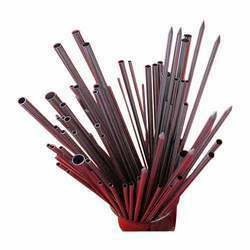 We are engaged in providing wide range of Stainless Steel Capillary Tubes. Our Stain Steel tubes are corrosion resistance which helps in enhancing their service life. These are available at affordable rates. Our Stainless Steel tubes can be used in several industrial applications and especially Pharmaceutical drugs and other drugs.